Promoting high-quality development is a highly complicated systematic project which is not only related to the adjustment, reform and improvement of relevant policies and mechanisms but also to the further updating and transformation such as people’s consumption concepts and social culture. As a result, the government, enterprises, social organizations, consumers and the social communities should make joint efforts to achieve this goal, while the key entities and drivers are entrepreneurs and entrepreneurship. Promoting entrepreneurship as well as giving full play to the roles of entrepreneurs are important approaches and key moves to promote high-quality development in the new era. Entrepreneurship is highly consistent with the requirement of high-quality development. Guidelines on Building a Sound Environment for Entrepreneurs’ Growth, Promoting Outstanding Entrepreneurship and Giving Full Play to Entrepreneurs’ Role issued by the CPC Central Committee and the State Council have summarized the key elements of entrepreneurs and entrepreneurship as follows: patriotism and devotion to career, law compliance, arduous efforts, innovative development, the quality of concentration, yearning for remarkable achievements, the fulfillment of responsibilities, willingness to take on heavy jobs and the awareness to offer social service. 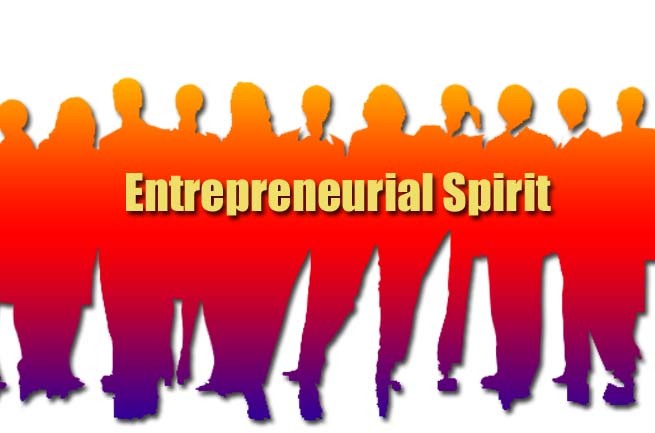 It is held that the most important elements of entrepreneurship include innovation, down-to-earth spirit, Perseverance, superiority and the courage to shoulder responsibilities. The goals and requirements of high-quality development should mainly be defined from three perspectives including efficiency, fairness and sustainability in view of the most fundamental requirements of the development. That is, once the three requirements of high efficiency, fairness and sustainability are all met or well balanced, high-quality development can thereby be achieved. It can be said that entrepreneurship is highly consistent and inter-connected with the requirements of high-quality development. Therefore, entrepreneurship should be proactively propelled to promote the high-quality economic development. Entrepreneurs are key entities amid the promotion of high-quality development. In a bid to promote high-quality development, the government undoubtedly needs to formulate appropriate policies and create a favorable environment. Scientists and engineers should also drive for innovation. In addition, sound financial systems, funds provided by the capital market and consumers with strong purchasing power and rational consumption concepts are needed. However, the above-mentioned elements can only work and be translated into productive forces when combined with entrepreneurs. As a type of human resources, entrepreneurs’ talent and entrepreneurship prevail in the society and market-oriented economy. It may remain undetected as a potential resource when the environment and conditions are not yet full-fledged. Only when the environment and conditions are appropriate can the talent of entrepreneurs and entrepreneurship be sparked and transformed into tangible resources. The institutional environment driving for entrepreneurship should be improved. To further improve the institutions and policies promoting and protecting entrepreneurship in the current and forthcoming period, the following five measures can be taken. Firstly, entrepreneurs’ property right should be well protected. To promote entrepreneurship, entrepreneurs should first be ensured with sound and stable expectations, in the form of effective protection of their property rights. Secondly, entrepreneurs’ business should be fully respected and ensured. Thirdly, the authorities should strive to build a market with fair competition. Fourthly, the relevant sectors should strive to maintain a sound market order. Fifthly, the authorities should make efforts to create a favorable business environment.